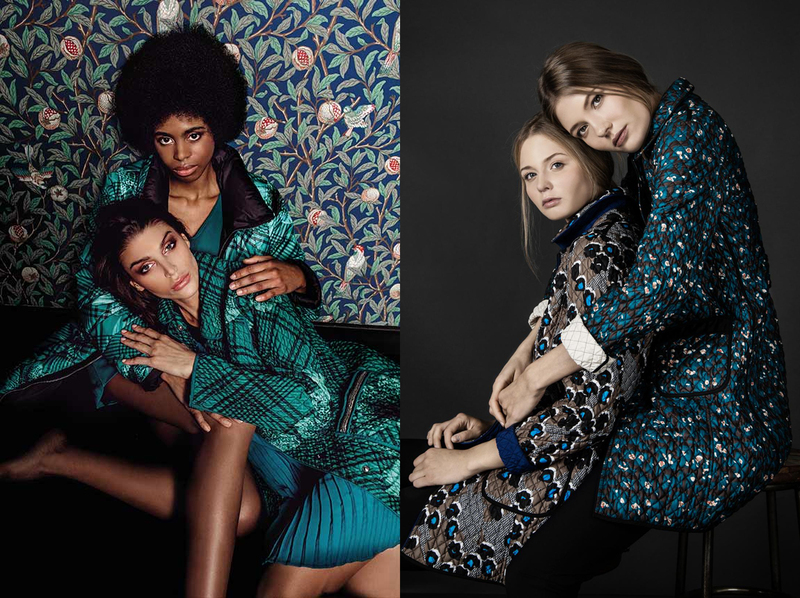 Fantasy is the trend of this classic womenwear coats collection created with an innovative mood. The comfort of the cuts and in the fitting, the freedom of movement united to the vivacity of printed fabric, the flash of an unexpected detail are mixed in an eclectic twist. Avant-garde criteria in the production allows easy to create and cool wearable clothes, that finds a perfect space in fashion stage. Original raincoats, caban and puffer coats amaze for their inedited combinations. The reversibility, the precious furs, the fur seal in accordance with ecology, the removable necks and cuffs, decline to an extremely fancy and feminine elegance.